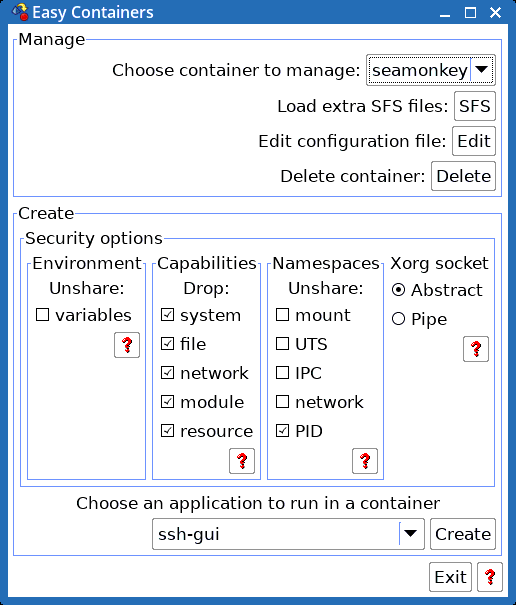 Easy 0.9.1 is released, and when you run Easy Containers GUI app, the help buttons scattered around it are a helpful read. I did a recompile in OpenEmbedded, the xine and gnome-mpv media players now have more deps, including libbluray. There are a few other tweaks here and there, relative to 0.9. Oh yeah, a new theme, blue-ish. Not sure if I really like it though. Some new wallpapers.